It goes without saying that food is a huge, huge part of my travel experience, and so it should come as no surprise to you that I’m devoting an entire post several posts to it. With a few exceptions (namely the two restaurants participating in my west vs east burger challenge), I’ll be posting about all the other meals I had in the next two posts, from breakfast to supper and everything in between. I’ll admit, most places did not lend themselves to result in good photography, especially for dinner with how dimly lit the restaurants were, but Karrie and I tried our best! Thanks to a comfy bed, the goings-on each night prior, and the overall chill vacay vibe that overtook us during the Los Angeles leg of our trip, we broke our fast much later in the day; what is typically a one-off weekend affair was embraced fully each day. Yeah, you know what I’m talking about: brunch. It’s certainly one of the few tolerable portmanteaus in regular use… probably because, unlike most other Hollywood unions, this marriage between breakfast and lunch can and will last forever. 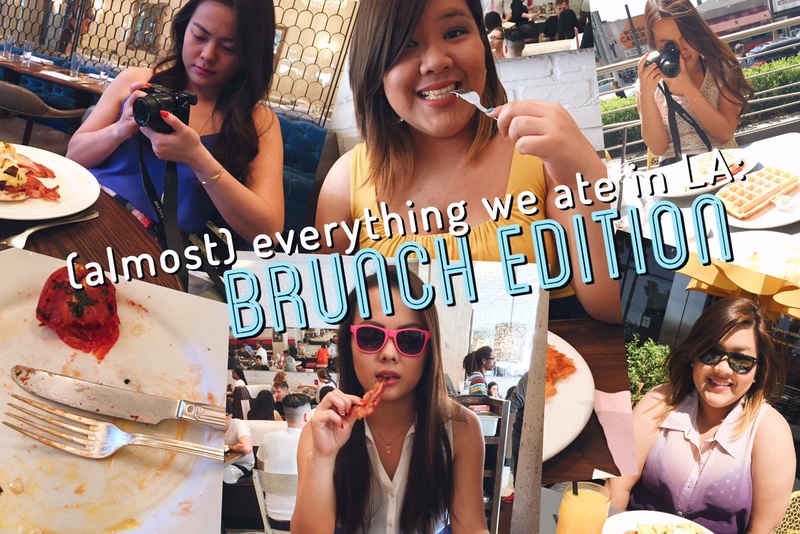 Karrie and I found ourselves dining at three delightfully different restaurants for brunch – let’s see how they tackled it, shall we? Velvet chesterfield banquettes, dark wood, white marble, and an address on Melrose in WeHo? 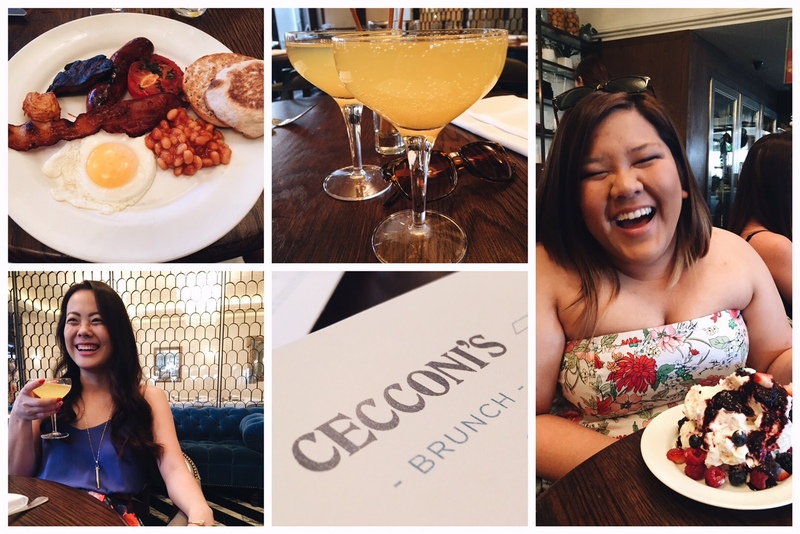 Brunch at Cecconi’s (part of the elite Soho House private club group but fortunately open to us plebeians) makes you sit up a little straighter, tilt your head up a little higher, and dab the corner of your mouth just so between bites of food… because you never know which Real Housewife of Wherever or young inspirational celeb starlet you might rub elbows with when you dine there. Servers are in crisp white button-downs, but their attire and demeanour are not so stiff (nor, in fact, so attentive) that you feel like you’re at too formal an establishment; one of our servers did have scruff and a manbun, after all. The English Breakfast set me back $12 (for $4 more, I’d have gotten a second piece of bacon, sausage, and egg), which is actually entirely reasonable! The $$$ rating above is more so given upon reviewing the rest of the menu – their pizzas average $20 and their mains $30. My meyer lemon curd + berry meringata (half pavlova, half Eton mess, a little too sweet for my liking) was $10, and of course, we had mimosas with our meal. You may wonder why I ordered the EB when could have had something a little less common (Bresaola + burrata pizza? Veal tonnato? Baked eggs arrabiata?) but I find that sometimes, you can judge a restaurant better by trying the simplest dishes. It’s for the same reason that chefs are known to try out for a kitchen job with the simple task of frying an egg or making an omelette for his/her potential employer. If you can’t perfect the basics, how can you have a solid foundation to build complex dishes upon? I’m glad to report that I was treated to perfectly cooked bacon and eggs, flavourful sausage, crisp potatoes, the single most umami mushroom I’ve ever had, and perhaps best of all, beans – all mopped up by an English muffin. I found that servers tended to leave us alone (I don’t want to say neglect, but… I just did) and needed to be called over rather than check in of their own volition every so often; perhaps it’s not so much a negative trait as it is what they’re accustomed to – I’m sure the socialites, celebrities, and Longchamp-toting, Louis Vuitton-wearing, espadrille-shuffling clientele they have would rather be left in peace. By the time we left, lunch was in full swing and parties filed in one after the other. Up at the bar, a handsome looking couple ate quietly, Ray-Bans securely hiding their eyes. 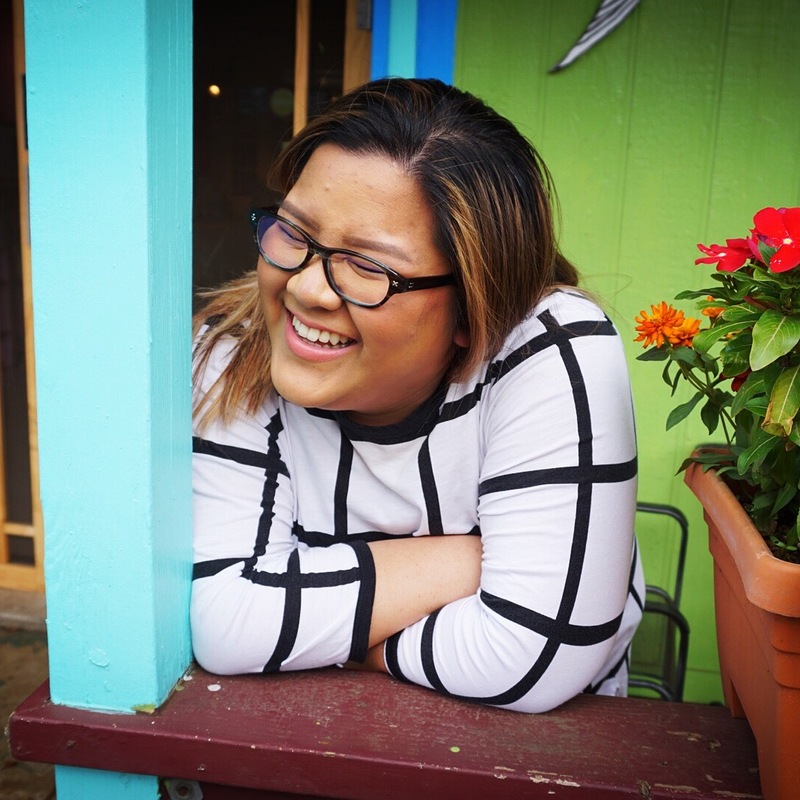 A table adjacent started off casual enough, but their boisterous conversation quickly evolved into business; pitches were being thrown, as were six- and seven-figure numbers. The private room held a bridal shower, as did a long table in the sunroom, and the buzz that filtered through the room just over an hour earlier had increased tenfold. A delicious start to the day in a distinctly Hollywood location. Housed in what was once a legendary jazz club, the flagship home of kitchen24 was a lovely find when it came to our first meal the next day! With locally sourced ingredients and everything from Biscuits, Sausage & Gravy ($11.95, above) to Asian Spiced Salmon with Edamame Succotash ($18.95) on their menu (much of which is available 24/7 – yes, I said 24/7)… this ain’t your mama’s diner. Reasonably busy upon our arrival, I can just imagine how slammed this place would be on a Friday night at 2am. Our server was a sweetheart who impressively took care of us and his whole section (which seemed to be our entire side of the room), and even managed to see me from across the room, notice what I needed, and be at our table barely a minute later. I was impressed. My biscuits, sausage & gravy were a delight, though I’ll admit the scrambled eggs could have used a few cracks of salt and pepper (nothing I couldn’t do myself, which I did) and the hash browns were bordering on oil-logged. All in all, it was a belly-filling start to our day (we lasted ’til supper! ), and with 24/7 service, catering, and delivery options available, I’m absolutely sure that kitchen24 has a lot of fans in the neighbourhood. I would be, that’s for sure! 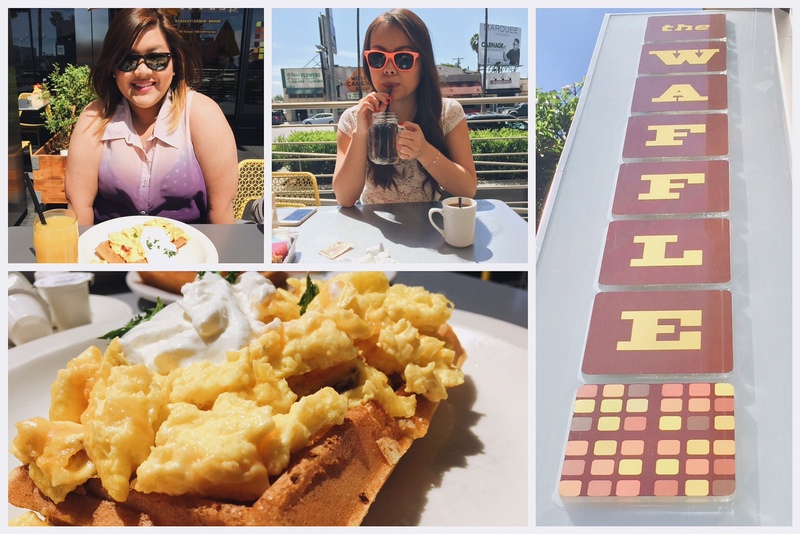 The last brunchy meal we caught was served up at The Waffle on Sunset and Vine. Given the place’s name, I thought I’d see what the fuss was all about and order one of their signature waffles. This one happens to have hash browns cooked into the waffle, and it’s topped with eggs scrambed with cheese and bacon, and a dollop of sour cream. $12 is more than reasonable for what you get (their waffles average $10 and many items were less; their mains/burgers aren’t more than $13.50), though I was amused that a side of maple syrup is a $2 surcharge (I guess I’m spoilt for choice here in Canada). Though conceptually sound, there was really barely any potato in my waffle; I was hoping the ratio of waffle batter to hash brown would be more 50/50 or even more crisp potato-y, but alas. The eggs were a delight, however, cheesy and bacon-y and fluffy, which made up for it. The day was glorious and I’m glad we chose to sit outside. It was funny, actually, that there was the slightest of breezes (I’m pretty sure it was still around 20˚C), and every time any locals would walk by, they were in sweaters or cardigans, shivering and complaining about how cold it was. Hah. I want to try their Red Velvet waffle next time. Cream cheese frosting. Mmm. 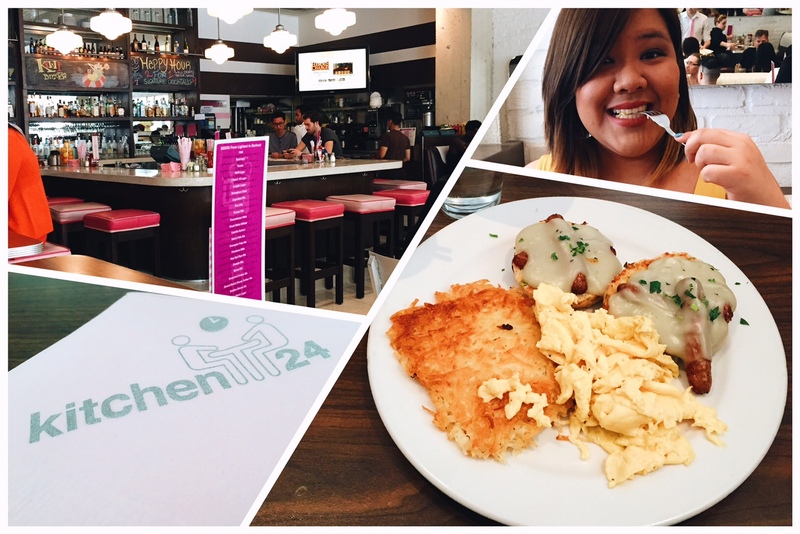 Next time on The Shortcrust: Wining and dining at Hollywood’s hottest spots to see and be seen! Tune in then – and I’ll see you on the flipside.